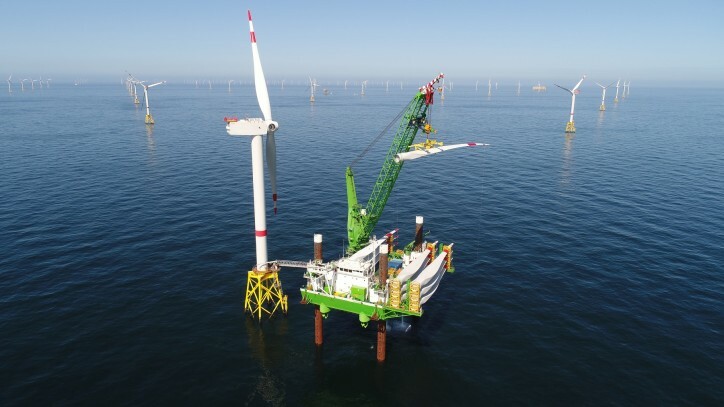 SABCA, a leading tier 1 aerospace industry supplier and DEME Offshore, a worldwide leader in solutions and services for the offshore energy market, have entered into a partnership for the development and deployment of Unmanned Vehicles to perform surveillance and inspection works in the offshore industry. Complementing each other’s core experience and know-how, both companies are convinced that these innovative, advanced technologies have a game-changing potential to increase health and safety of their employees, lower the impact on the environment in the O&M phase of a project, and reduce the overall costs of these operations. Moreover, in the future, it is expected that unmanned vehicles will continue to contribute significantly to lower the Levelized Cost of Energy. “The DEME/SABCA partnership is a powerful combination, which is perfectly in line with our permanent search for strong technology partners. DEME’s understanding of marine technology and engineering expertise is uniquely complementary to SABCA’s drone developments for industrial applications in accordance with the highest safety and security aerospace standards. We believe this partnership helps to generate leading technology products and services for the offshore industry”, said Thibauld Jongen, CEO of the SABCA Group.